Ten-page insert with full color plates of various parasites, eggs, and life cycles provides students with real-life examples of how parasites and their associated material appear in order to facilitate their identification in the laboratory. 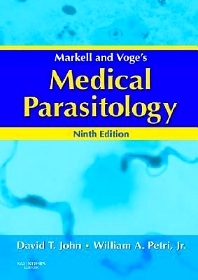 Summary Tables appear at the ends of the parasite/disease chapters to summarize the main features of the chapter and to present the salient information from the chapter to allow students better comprehension of the material. Life cycle drawings show progression of parasites from infancy to adult so students can recognize parasites at each stage of life. Disease distribution maps depict the global distribution of key parasites to help students see the global impact that various parasites have. The text explores arthropods both as parasites in their own right and as vectors or intermediate hosts for other parasites so students can understand the direct and indirect impact that they have on health.